Bulk Lien eFiling is now available! 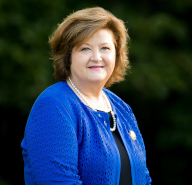 Cinda S. Bright, Wilkinson County Clerk of Superior Court, is proud to announce that effective July 20th, 2016, bulk filing of lien documents will be available to the public! In an effort to provide ease and convenience, the Wilkinson County Superior Court Clerk’s office, in conjunction with the Georgia Superior Court Clerks’ Cooperative Authority, has developed an online electronic filing portal allowing users to submit multiple, one-page liens as a single electronic attachment. In order to eFile lien documents in Georgia, users must have a participant ID. To register for the participant ID, go to www.efileregistry.org and register. Once you have obtained a participant ID, simply go here http://efile.gsccca.org and register to begin the eFile process. We hope that you find this service to be beneficial as the Wilkinson County Superior Court Clerk’s office continues to explore and implement new ways to improve services delivered to the citizens of Wilkinson County. If you have any questions or concerns regarding the eFile process or would like to schedule training, please contact the Georgia Superior Court Clerks’ Cooperative Authority customer support at 1-800-304-5174 or help@gsccca.org.